Benoit is a high-contrast, multi-weight font designed for editorial usage from text to small headlines and decks. 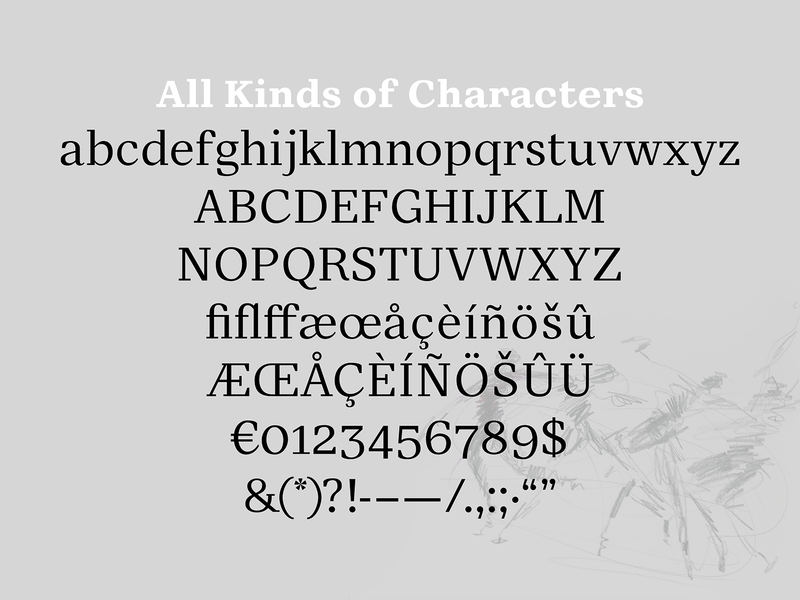 In addition to the 26 upper- and lowercase letters in the English language, this typeface also includes old-style numerals, punctuation, ligatures, and several diacritics. 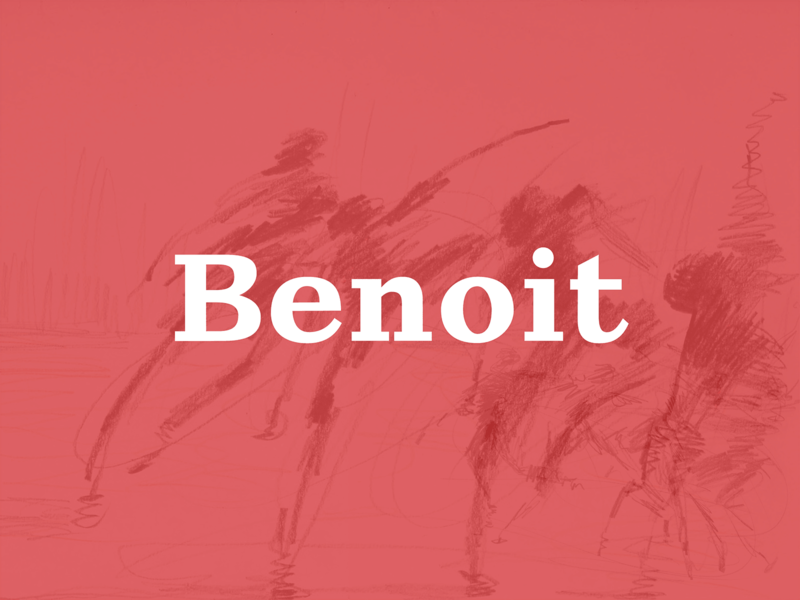 Designed to be strong and assertive, Benoit features angular counterforms and decisive slab serifs. Still, low shoulders and thin connections give the font lightness and grace suited for large amounts of running text. The bold has a lower contrast than its lighter counterparts, making it an excellent choice for small amounts of display text, from caption to deck size. When I began research for this typeface, I was thinking of the magazine where I spent the past year, The Atlantic. 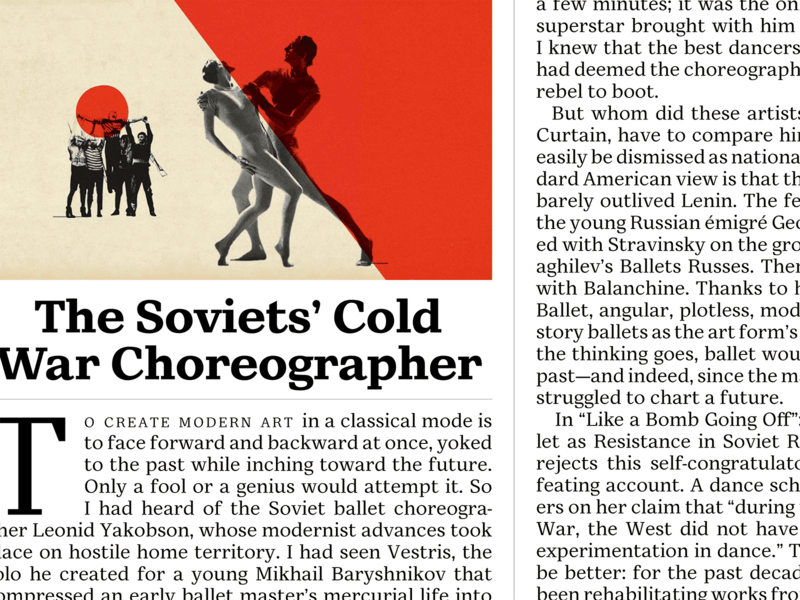 The Atlantic is strong, assertive, honest and fair—all qualities I wanted in this typeface. A slab serif seemed to be a good place to start. At Typofonderie, I looked at Miller & Richard’s Ionic No. 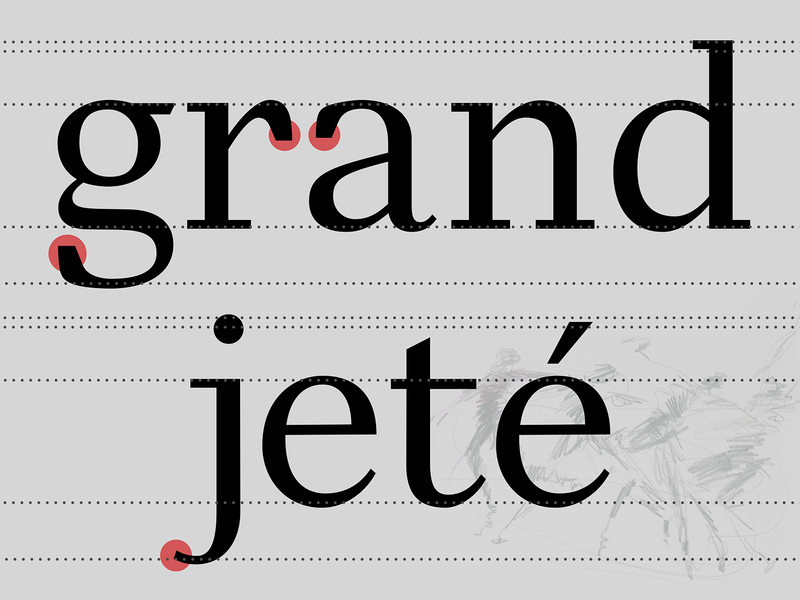 5, Frutiger’s Serifa, even at Vincent Figgins’s Antique, drawn to their boldness and their sense of command. I began drawing low-contrast lowercase letters, but with lower shoulders and more narrow. Essentially, I was drawing poor, timid versions of great typefaces. I kept the deep shoulders, but widened the characters and increased the contrast, giving my letters strong stems but generous curves. Flexibility became more important as I began to discover how different letters worked in the system, particularly with the terminals. 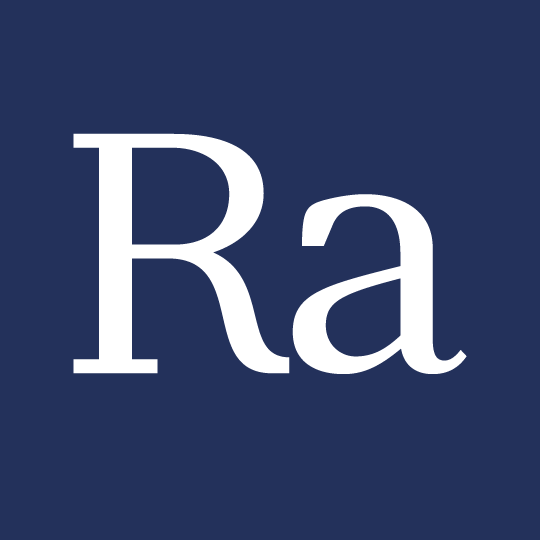 The bottom terminals of the j and y, the top of the f, and the ear of the r all struggled to stay within their space yet retain the qualities of the rest of the family. The capitals C, G, and S all became more angular than the lowercase counterparts, in order to maintain a more consistent rhythm across the cap-height. As I shifted from pen and tracing paper to Glyphs, the system became much more clear and it was easier to make decisions when there were multiple voices in the letters competing. Even now, there are many different elements, many different terminals, but they harmonize together to bring a warmth to the typeface that wasn’t there in my initial sketches. The typeface was always meant to be strong and assertive, but as it started to become a high contrast font, it also became more light and graceful. 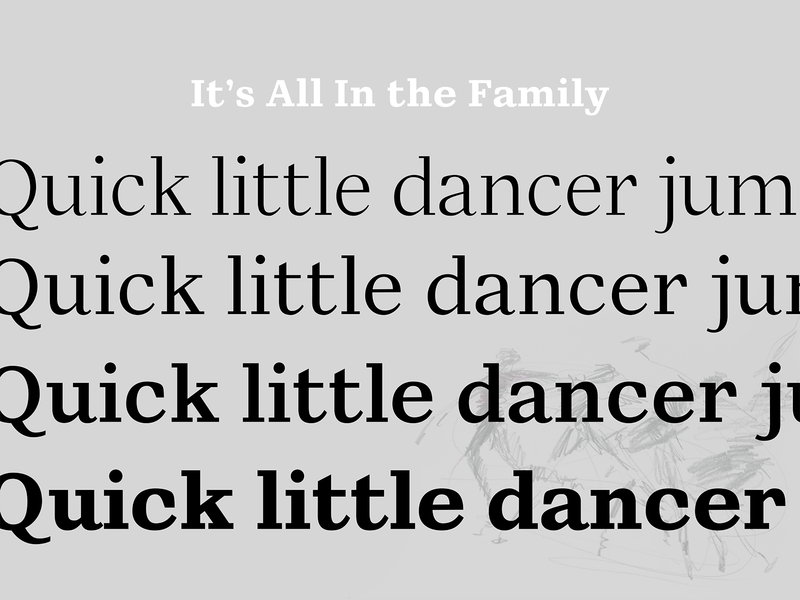 I began to think of the balance between these qualities also required in dance. Benoit is named for a man who was my dance instructor, Jon Benoit. A former principal at Nederlands Dans Theater, Jon was harsh and demanding, often terrifying beginners. But if you listened and paid attention, you also found the lightness. My hope is that this font embodies both his assertiveness and the grace with which he moved. Many thanks to Jean François Porchez, Mathieu Réguer, Malou Verlomme, and all of the guest instructors and critics at Type@Paris for their guidance and generosity with their instruction. Thank you, as well, to the other fifteen wonderful students that were a part of the Type@Paris crew for their camaraderie and laughter.